When you blog your online community of readers will expand over time. You will be able to connect with more like-minded people, leaders and, others in your field. During my years of blogging I’ve had the privilege of connecting with and even meeting other leaders in person. This would never have happened if I did not have a blog or was active on social media. I receive tremendous value from the process of writing a blog posts and from the comments people leave on my blog. The act of writing allows my ideas and thoughts about the topic to become crystal clear to me, be stored in my conscious for practical application, and be tested to see how strong it is within me or how well I’m doing in the area. Also, the original idea or though often expands into new and fresh ideas or thoughts. The comments my readers leave offers me (and other readers) their perspective and opinions of the topic. I have learned so much by reading and thinking about the comments people have written on my blog. Writing is a form of communication. A blog provides you with the opportunity to develop your writing skills, especially if you have someone who edits your content and provides you with specific feedback. Since starting my blog I’ve seen a huge improvement in my writing skills. This has helped when it comes to the Backend of my Leadership Roles and in being promoted. 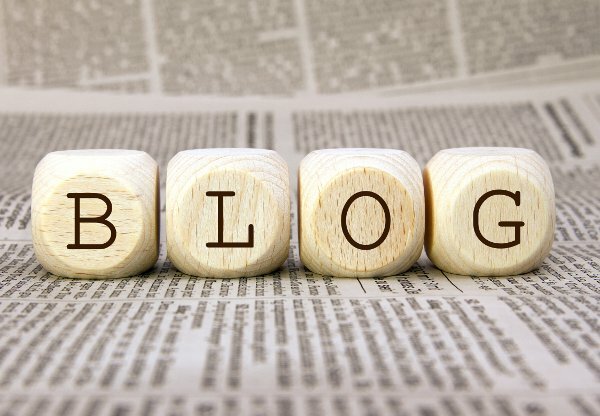 Writing a blog can provide the same benefits to you. Starting to intentionally grow your blog allows you to expand your influence and impact more people. In The Leadership Mandate I write about the 5 main areas of influence, in one of those areas I said, “The internet is a powerful area of influence. In today’s internet driven society, everyone does or has the opportunity to influence people online through social media, a blog, or e-business.” You have unlimited potential when it comes to the number of people you can influence through a blog. If you start writing and regularly post blogs you can increase your discipline. It requires self-discipline to consistently write, publish your content, and be active on social media. All of these things will strengthen your discipline bone and allow it to be easier to be disciplined in all areas of your life. Question: Can you add to the list? Why else should every leader be blogging? Great points, Dan. I would emphasize the networking and connection more while I would add the development of tribe or/and of a community with clear boundaries and influence in a larger audience. The point of blogging, besides internal discipline and enhancement of your abilities, is to “reach-out”, spread your message, transform people and lives and influence them to achieve their and their true potential goals. Especially the young ones! Great additional thoughts. We all have the opportunity to use a blog to influence and impact others for the positive. Thank you for commenting. I agree with the other comments… great list. From a writer’s perspective and someone who has taught writing to business people, I know a lot of people struggle with confidence and even lack skill in this area even when they are strong leaders. One of my goals is to help leaders with their writing because I do believe it is an effective leadership tool. What a great goal! I know my writing skills still can and need to grow. Thank you for taking the time to read and comment. All excellent reasons! And you establish yourself as an authority! Great addional point! Glad you enjoyed the post. Uh-oh, I’m starting to feel like I should be more consistent in my blog posts. I love all your reasons. I’ve experienced the same thing through my own blog. It was scary to get started, but well worth it! Me too:) There are so many advantages to blogging. Keep at it. I have been following the career of Mark Hurd for the last few years now, since he has taken over at Oracle. I have also been impressed with this leadership and ability to turn a company around. I’ll have to check it out. Thank you for reading and adding to the topic. Love all the points Dan. Personal growth has been a huge benefit. You can’t write (and all that comes with writing, eg research) for a long period of time and not stretch and grow. It’s interesting how we “are served” when we set about serving others! Great post. Yes it does! Thank you for sharing your wisdom with us. I agree with all of those, Dan. I think one of the greatest things writing does for us is that it refreshes the soul and brings peace, joy, and gratification. Thanks for reminding me! Amen! Thank you for adding that great point. It can help you improve your aspirations and career opportunities as a professional writer and speaker. Great point Juan. Thank you for reading and commenting. Sweet list Dan! I think you realise what you know that you wouldn’t otherwise realise, without blogging about it. Love you’re thinking on it! Do you think there’s point in the leadership journey where leader should contemplate blogging or just go at it from the moment they start to lead? Thank you Ralph! I think there is no perfect time to start, it would be benefit those just beginning to lead and the seasoned leader. It’s a way to track our journey, thought patters, and growth. Thank you for reading and commenting. Thank you, I’d be interested in talking to anyone considering or who wants to start a blog. Blogging has been one of the most helpful activies I’ve engaged in over the past few years. On so many levels it’s helped increase my effectiveness, ability to think and opportunity to connect and communicate. That’s great to hear! Keep doing an amazing job with your content. Hi Dan! I agree with everything on your list! I would add that blogging is important by itself – it’s become so widespread that it’s a skill you need just like you might need to know how to balance your checkbook. Also, becoming a good blogger also helps you build a platform which is essential for any leader who wants to lead on a bigger stage. Great thoughts. Any leader would benefit from influence from a bigger stage. Thank you for sharing your wisdom with us.